I had the pleasure of attending Fire and Brimstone 2017 hosted by the Baltimore Knife and Sword Co. The event was held at BKS’s facility in Marriottsville, Maryland (just outside Baltimore) and featured demonstrations from a number of expert bladesmiths. The weekend started with me visiting with one of my closest friends and former Albion cutler-extraordinare: Joel Dohahue. Joel and I first met at Albion in the early 2000’s. I trained him to cutler swords, and he turned into one of the best sword cutlers Albion had. He is now an attorney who works for the Social Security Administration. Joel and his girlfriend, Susan, took me to some great places for food and drink. I was also able to meet up with bladesmiths JJ Simon, Matt Venier, Emiliano Carrillo and Justin Mercier at the Walters Art Museum. The museum has a small collection of arms and armour, but many of the pieces were quite interesting. Over the weekend, Mark Green, Daniel Cauble and Jesus Hernandez built and fired a Catalan smelter which yielded a good sized bloom made from Magnetite ore.
Another highlight of the weekend was Jeff Pringle and his atomic marshmallow crucible furnace. Jeff, an expert on crucible steel, managed to set a new F&B record with 7 pucks in one weekend. Most of them showed a great deal of promise. Jeff explaining some aspect of crucible steel. The legendary Wally Yater is sitting to his left. Another highlight was the refining hearth that Emiliano Carrillo and Daniel Waddell constructed and fired. It was an excellent weekend. I learned a great deal, and made a lot of new friends. I have plans in the near future to make my own crucible steel and build and fire my own hearth. This 10th Century Broad Axe draws its inspiration from a fine example in the Swedish History Museum. It features a hand forged eye socket and axe body made from low carbon steel. The high carbon 1080 bit is forge welded to the body. Careful attention was given during the forging of this axe to create graceful, flowing lines and smooth transitions. The result is a lively axe with a razor sharp edge. The top of the ash wood haft is meticulously hewn to fit the eye socket in a precise manner. This detail ensures the axe head will stay secure during use. The rest of the haft is shaped and sanded to a smooth, comfortable finish. The entire haft is treated with linseed oil to preserve and harden the finish. If you are interested in purchasing this axe, contact me at eric@crownforge.net or ericmycue374@comcast.net. I have been wanting an axe for a while now but hadn’t seen one that thrilled me until I saw this one by Eric McHugh. I’ve bought pieces from him previously so I knew the quality would be outstanding. It is! The shape of the components work perfectly together, it’s just great visually. The quality of the craftsmanship is absolutely top tier. Everything is just done beautifully. The edge is razor sharp. It feels great in hand too. One handed use is possible because of its excellent balance, but using it two handed really brings it to life. I couldn’t be more pleased with this axe and with everything about dealing with Eric. I liked the axe so much that I’m in talks with him about commissioning another piece. Nothing says you like what someone does better than return business, and Eric will have mine. I’ve nearly finished a recreation of a boy’s burial axe that was found in a grave in Norway. I completed the final shaping of the profile. In addition, I polished the edge to a sharpness, and polished the axe to 800 grit. The next steps will be to etch it to bring out the random pattern in the iron, and then haft it. The rusted original weights 314 grams, and my recreation come in at 344 grams. I’m quite happy with this weight considering the corroded condition of the original. I believe Dr. Lee Jones will be quite pleased with the completed piece. I forged the axe slightly large so that it could be adjusted to the dimension on my drawing. The original axe that I documented at Lee’s home. The last three months have been a whirlwind of activity. First, I had an epic trip to New York with renown swordmakers: Peter Johnsson and Kevin Cashen. We documented 9 swords in the MET as well as a number of swords in the private collection of Dr. Lee Jones. You will see a few pieces influenced by these swords in the future. The trip culminated with our attendance at the Ashokan Sword Seminar. I will write an article highlighting this trip with a copious amount of pictures. As soon as I returned, I started work on building new heat-treat equipment for Albion Swords in Wisconsin. Albion has been growing, and there is a need to expand production. Many patient customers will testify to the waiting period for their new swords. I have been diligently working to increase the heat-treating capabilities of Albion. All of this work will translate into more production. My work focused on another larger high temperature rig and a new larger tempering bath which will feature one of Omega Controls new digital controllers. Finally, we are setting up a new larger heat-treat area that will help to increase the number of swords that can go through heat-treat at one time. will be fully insulated and covered in lagging. 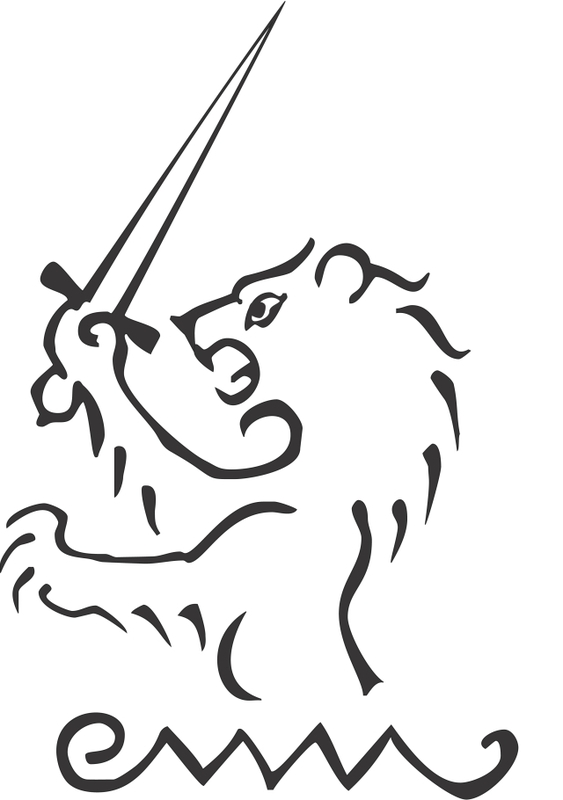 In addition to the fabrication work I am doing, I will be starting a new role at Albion Swords: VP of Research and Development. I will be working with Peter Johnsson to develop new designs and refine and standardize production procedures. Albion will have 7 new sword designs that will coming out in addition to the other proposed swords. 2017 will be a big year for Albion which will include a few “surprises” that I’m sure collectors will love! My role at Albion will be a part-time, so you can still look forward to a number of custom pieces coming out soon and throughout 2017. I also have quite a few commissions to complete but there is still room for a few more. If you are interested in commission a pieces, contact me at eric@crownforge.net. Because of the shipping cost to Sweden, I had to ship this large Danish axe in two separate packages. I finished the haft all the way to the point where the wedge had to be inserted and made some detailed instructions for the final assembly. It turned out great, and he graciously sent me some stellar pictures of the completed axe. Special thanks to Joakim Lundqvist for the commission and the pictures. Just completed 3 axes for customers. The first is a huge Danish Axe that is inspired from an axe in the Historical Museum in Stockholm. The blade is 10.5″ (26,7 cm) from the toe to the heel of the blade. In spite of it’s aggressive distal taper, it weighs a bone crushing 1260 grams (2.8 pounds). It features my usual construction: mild steel eye socket and body with 1080 high carbon steel edge. I had to ship this axe to Sweden, so the haft (made of ash) was not fitted to the head to save on shipping cost. I received a request to make another small Danish axe like the one I made in March 2016. I won’t go into much detail because other than a few minor differences that resulted from hand forging, it is basically the same as the previous Small Type M. This seems to be a popular axe. I am considering doing a semi-custom version of it. I had a request to do a larger version of the Bearded Axe from Uppsala I completed in February 2016. This axe features a blade that is 5.5″ from heel to toe. Like the smaller version, it has a wedged shaped distal taper which makes it into a wicked cutter. Like the small type M, this axe seems to be quite popular. I will look into doing a semi-custom version of this axe too. If you are interested in more information about any of these axes, please contact me at eric@crownforge.net. I’ve made numerous trips to Albion Swords in New Glarus, Wisconsin to help with training and fine tuning their heat-treat procedures and system. Albion’s head blade grinder, Craig Cheney, spent several days with me testing blades. The tests included but were not limited to bend tests, destructive tests, and edge impact testing. These test are a critical part of ensuring Albion’s quality. I should mention that the tests we are performing are considered abusive. Do not do this to your Albion swords. Completed the construction (with major help from my cousin Ron and my daughter Natalie) of a small warehouse to store my steel and wood. The warehouse will also hold some of my tools and wood working equipment. I am still moving steel and supplies into the warehouse. This process takes some time since I have to persuade my son to help me. Modified and improved my KMG grinder. Most of the modifications were found on The Bladeforums. First, I eliminated the pulley wheels and belt and used a new motor mount that I made and connected the motor directly to the drive shaft with Lovejoy couplers. This eliminated a lot of the vibration associated with the belt and pulley system. Second, I removed the spring on the tracking arm and replaced it with a gas strut. The 40 pound gas strut provides enough force to make the belt tight and track very precisely. I also modified the grinder so that it could be tilted from the verticle position to the horizontal. This feature allows for the precise grinding of parts that require a radii. The 40 pound gas strut (center) creates a very tight belt that tracks very precisely. Pictured in back is the new motor mount and Lovejoy couplers. Tilting the grinder to the horizontal position allows the use of various platens and different diameter wheels to grind an array of radii. I created a new high temperature salt bath for heat-treating large axe heads. I call it the BAHT System: Big Axe Heat-Treat System. The oval stainless tube was fabricated by me in my shop. It allows for the heat-treating of axe blades up to 11.5″ wide! Bearded axe moments away from being quenched in oil. Close-up of the portable digital control unit. The portable digital control unit can be moved between various high-temperature salt baths. It plugs into a 110v outlet, and it has the LO/HI pressure loop located below the box. On the other side is a port where the type K thermocoupler enters the control box. It is very easy to use. I have one bath for daggers and short blades, and another bath for sword length blades. I simply plug the power cord into an outlet or extension cord, connect the gas line to the LO/HI loop via a union, slide the thermocoupler into a small stainless steel tube on the different baths then fire it up. When I’m finished heat-treating, I move it into the warehouse for storage. I scraped my old sword platen grinder and build a new one from the ground up. It is still a work in progress but it works quite well for truing up bevels and creating complex distal tapers in sword and knife blades. The platen is 2″ wide by 28″ long and is made of precision ground tool steel. I still need to put a cover on motor and drive box, and install a water spray system. I finished a new spray system that will be used on the platen grinder and he KMG which I will feature in an update in the near future. This spray system allows me to heat-treat blades that I am going to hollow-grind without the hollows ground in them. Hollow-ground bevels can create issues during heat-treat. Heat-treating without the hollows reduces the potential for warping. I then use the spray system to wet grind the blade without ruining the heat-treat. I still have more things to fabricate, but this has been a producive summer even though I have not made many new items. The stage is set for some exciting projects in the near future. If you have any questions on any of the things I’ve fabricated, feel free to email me at eric@crownforge.net.